We're talking melty, warm, chocolate, gushing from the middle of a decadent chocolate cake. That has Kayle written all over it. Once again-that has Kayle written ALL OVER it! I had a lovely Valentine's Day. But you could see that from the pictures. On to the cake! 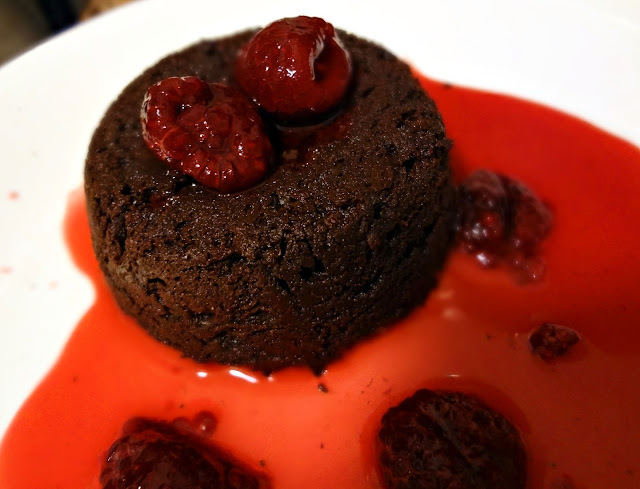 Flourless--which always means extra chocolatey (and I can save on flour) in my world, and it means it's gluten-free for those who are averse to the gluten. It's amazing, delicious....but well...I might have messed it up? All went perfectly, I had no problems...until the actual batter was done. I left it for a second to read the original recipe post on the internet....while I was gone the texture of the batter changed a little. THEN-I read it could be refrigerated, then baked. In retrospect, I should have put them in the ramekins first, I should have known better. But, that's not what happened. I put the bowl in the refrigerator. Then, when it came time to bake, and I went to put the mix into ramekins...it had hardened. So I ended up scooping and pressing it in. This might have affected the texture. However, I'm not 100% sure, due to the fact that I haven't made it the right way yet. If and when I do, I'll update you all-don't worry. Hopefully you can learn from my mistake and can report back how you do with this? 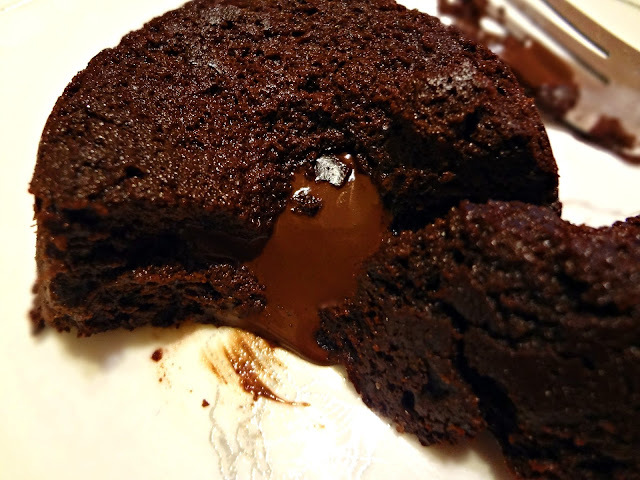 Adapted from Zoe Bakes "Flourless Chocolate Lava Cakes for Passover"
Grease eight (or, in my case, 9) 6 ounce ramekins with butter, then coat with sugar. Have rack in center of oven, preheat to 425 degrees. In a pot, bring water to a simmer-then turn off heat. 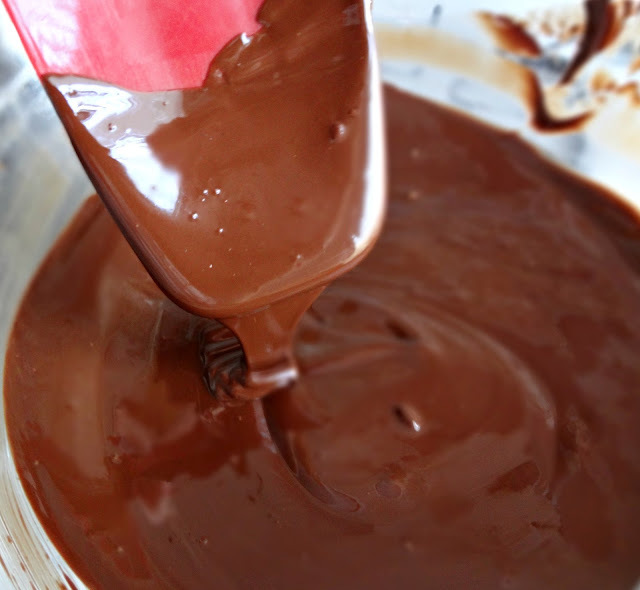 Place chopped chocolate in a large bowl and place over pot of simmering water-to create a double boiler. Stir chocolate, allow to melt. Whisk in the cocoa powder, butter (which I cut into chunks), and salt. The mixture should be smooth, with no lumps. In a medium bowl, whip egg whites on medium speed until foamy (which should just take a couple seconds). Mix on low speed and slowly add sugar. Once all sugar is added, increased mixing speed to medium-high and whip to medium-soft peaks. Fold 1/3 of egg whites into chocolate mixture. Then the next 1/3. Then the last 1/3. Be gentle-use a spatula. IMMEDIATELY, pour batter into a large piping bag fitted with a large round tip. (I do not know if this is necessary or not, due to the aforementioned issues when I made these, I didn't really get to see. I'll update you if I learn different.) Divide evenly among ramekins-filling about 1/2 of each ramekin-no more than 2/3. Use extra ramekins if necessary. If you want to have insurance for a molten center, to give some leeway with baking, press 1/2 oz. chocolate (or if you're being creative whatever else you might want, like the Andes mint) into the center of the top of the cake, just below the surface. At this point, you may refrigerate the cakes and bake at a later time. DO NOT refrigerate before. Bake cakes for 8 minutes if the batter is fresh, bake for 10 if they've been refrigerated. You may wish to test with 1 cake first to make sure the timing is perfect. You want it to be runny in the middle, but not completely falling apart. Remove from oven and let sit for 3 minutes. Invert onto plate. If it is stuck and not coming out, run a thin paring knife around the edge to loosen. Gorgeous! I haven't made these before, so don't have any good advice, but at least they still turned out for you! The raspberry sauce is so pretty with the cakes, great photos! Nice! And I love the Valentine's Day photos, especially the hugging dolls :) Good to see your version of the lava cake. Mine has flour in it but I make a big flourless cake at Passover which we bring to the Seder at the in-law's. 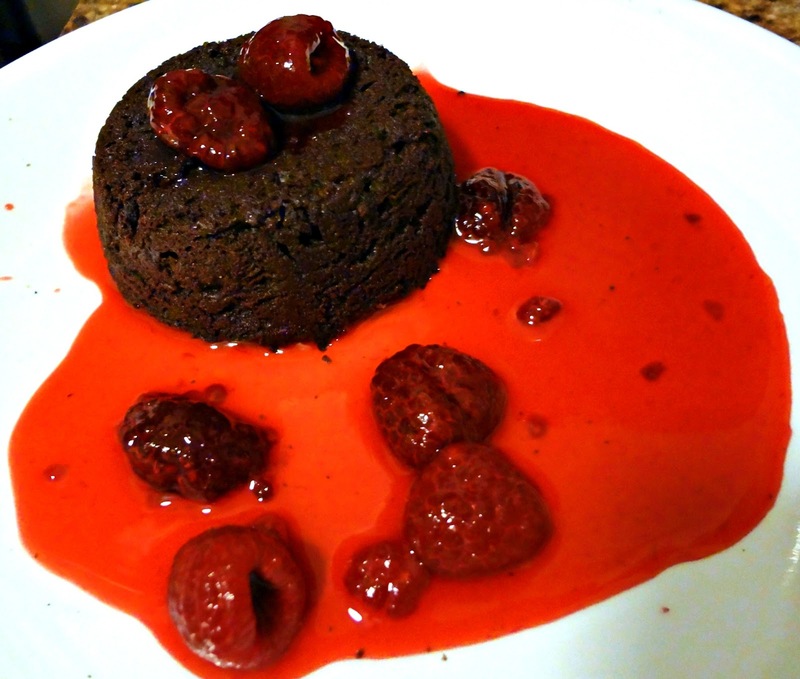 Either way, all that gooey lava you achieved looks amazing! Mmmmmm...chocolate. These are my fav! Wow! 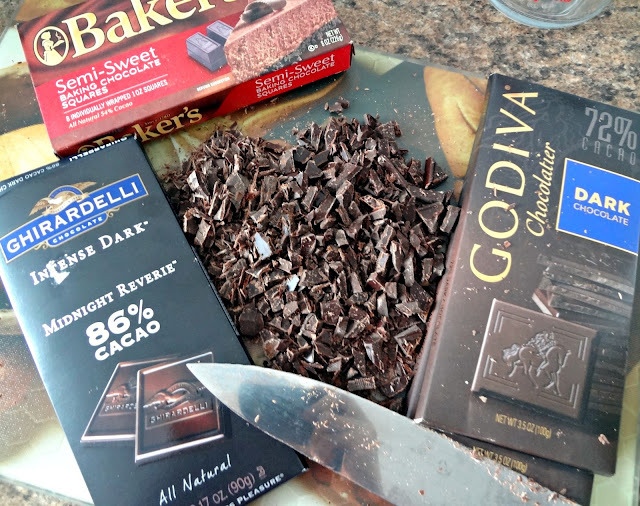 Really chocolatey treat...Godiva is my favorite! A must try definitely. I can't wait for the next valentine's day, have to try this the soonest. Do you have a Twitter account? I'd love to follow you. I would love one of these right now. They look delicious! Great chocolate choices! 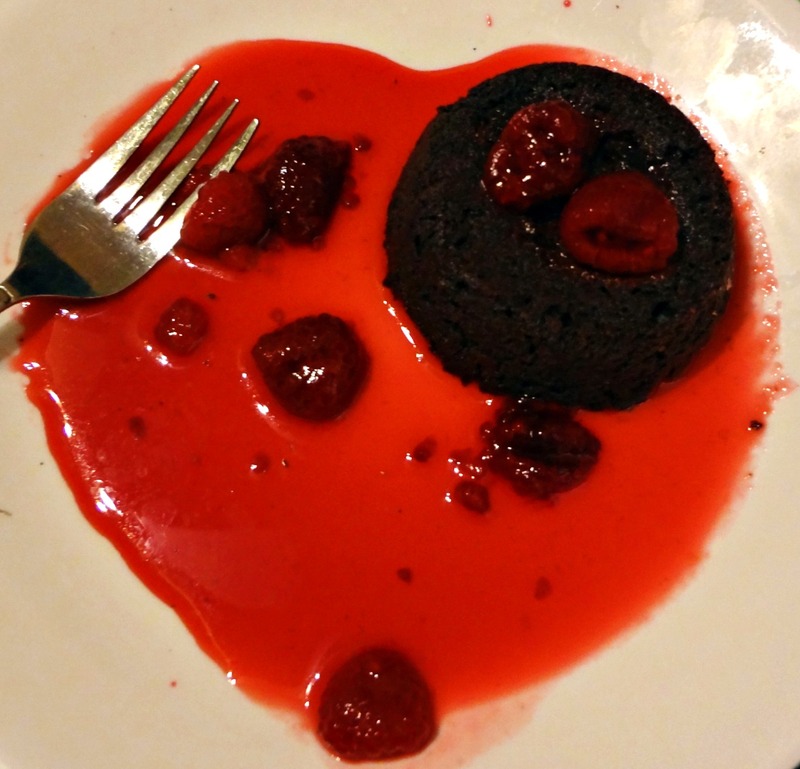 your picture with the raspberry sauce in the shape of heart is gorgeous! I made lava cakes for Valentine's Day too, these are irresistible! I don't think I've ever met someone who doesn't love these! Delicious recipe! It was so funny-the heart was actually on accident. My boyfriend, Michael, was just about to eat it and he went "aw it's a heart!" And of course I had to stop him and grab my camera! Lol. Ohh the first photo is a killer - I want it immediately!